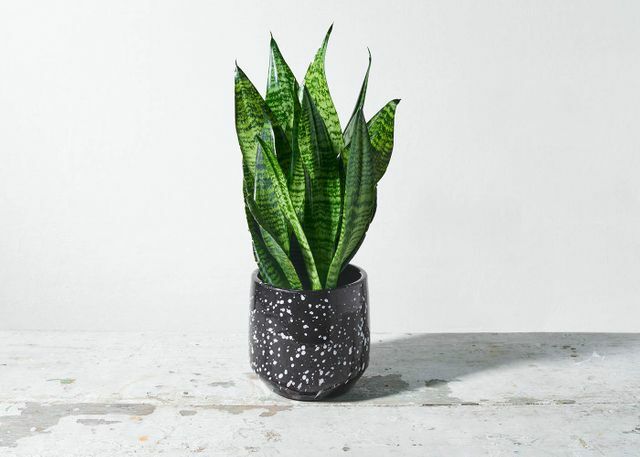 Get lost in the mesmerizing black-and-white speckled pot of The Orion. With its towering snake plant leaves, The Orion isn’t only pretty to look at, but has several benefits too. Along with emitting oxygen and filtering toxins from the air, it’s also been shown to reduce stress and spark creativity.